Vanguard Press. Hardcover. 1593154453 Used: Remainder Mark/Minor shelf wear . Fair. Vanguard Press. Hardcover. 1593154453 Missing Dust cover and Signs of wear. . Fair. 2007-04-16. Vanguard Press. Hardcover. 1593154453 Item in good condition. Textbooks may not include supplemental items i.e. CDs, access codes etc... . Good. Vanguard Press. Hardcover. 1593154453 Item in very good condition! Textbooks may not include supplemental items i.e. CDs, access codes etc... . Very Good. Vanguard Press. Used - Good. Ships from Reno, NV. Shows some signs of wear, and may have some markings on the inside. 100% Money Back Guarantee. Shipped to over one million happy customers. Your purchase benefits world literacy! Vanguard Press. Used - Very Good. Former Library book. Great condition for a used book! Minimal wear. Vanguard Press. Used - Good. Shows some signs of wear, and may have some markings on the inside. Vanguard Press. Hardcover. VERY GOOD. Light rubbing wear to cover, spine and page edges. Very minimal writing or notations in margins not affecting the text. Possible clean ex-library copy, with their stickers and or stamp(s). Vanguard Press, 2007. Hardcover. As New. Disclaimer:An apparently unread copy in perfect condition. Dust cover is intact; pages are clean and are not marred by notes or folds of any kind. At ThriftBooks, our motto is: Read More, Spend Less.Dust jacket quality is not guaranteed. Vanguard Press, 2007. Hardcover. Very Good. Disclaimer:A copy that has been read, but remains in excellent condition. Pages are intact and are not marred by notes or highlighting, but may contain a neat previous owner name. The spine remains undamaged. At ThriftBooks, our motto is: Read More, Spend Less.Dust jacket quality is not guaranteed. Very Good. 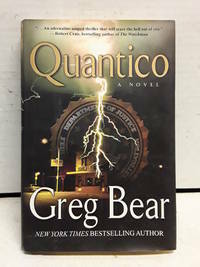 First Vanguard Press Edition -2007 - Hardcover. 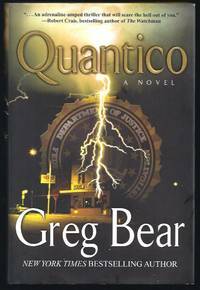 Author: Greg Bear. The dust jacket is bumped at bottom spine area and has price sticker on front dust jacket cover. Otherwise, this book looks NEW and UNREAD. The boards look new, the spine is tight and stiff and the edges are spotless. The text is bright, crisp and unmarked. 326 pages. - We welcome and respond promptly to customer inquiries about the books we offer for sale. We grade conservatively, package securely and ship immediately. Excellent customer service. Satisfaction guaranteed. New York, NY: Vanguard Press. Good with no dust jacket. 2007. Advance Review Copy. Trade Size Paperback. 1593154453 . 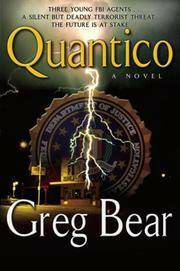 Small 4to 9" - 11" tall; 330 pages; Soft Cover Paperback, No Dust jacket, Shows Wear, ; BX142 . Vanguard Press. Hardcover. 1593154453 Could almost pass as new but is not, No obvious damage to the cover or dust jacket, Pages are clean without writing or markings of any kind. May have name or inscription inside cover, Email with questions STOCK PHOTOS MAY VARY FROM THE ACTUAL ITEM. ACTUAL PHOTOS AVAIL. UPON REQUEST. . Very Good. Vanguard Press. Very Good+ in Very Good+ dust jacket. 2007. First Edition; First Printing. Hardcover. 1593154453 . New York, New York, U.S.A.: Vanguard Press, 2007. First Edition . Hardcover. Very Good/Near Fine. 8vo - over 7¾" - 9¾" tall. First Edition (Number Line With The One Present). Minor Wear With No Chips, Tears Or Writing.